If you have no system, you have to reinvent your housekeeping or debate what to do first every time you do it, and the required mental effort is a major obstacle, especially when you are tired. Homemaking is not something that stands in the way of our deeper fulfillment; it becomes the ground that feeds it. Good morning everyone! 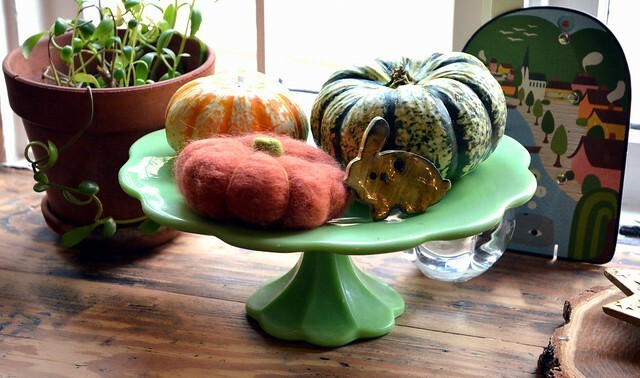 I started working on my own chart earlier today, it looks so similar to Jenny's that I didn't take pictures (instead you get a gratuitous shot of a fall still life, with needle felted pumpkin, Trader Joe's gourds and a special French clay rabbit, all on top of the cake stand I used at my wedding). 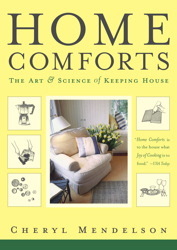 I also spent a few minutes gathering inspiration from two seemingly different (but actually related in many ways) books: Home Comforts (that I mentioned the other day) and Radical Homemakers. How is Autumn going so far for you? The light has changed here, it's so weird how that happens nearly overnight. It feels like Fall now, though we're still getting spectacular weather. I have to admit, as much as I loathe June around these parts (so cold and rainy, many people call it June-uary), September more than makes up for it. Gorgeous. I am such a dumb-dumb, I didn't get a chance to pick up the copy of Home Comforts that I had requested at the library, and my hold expired, so now I have to request it again. I cannot wait to get my hands on that book! In the meantime, I've been working on a rough schedule for our family routine including my own diverse to-dos, now that we're back at school. I thought I would share my process, in case it can help a reader or two and/or encourage discussion! Instead of "routine" or "schedule", I thought I would call it a "flow" -- I loved when you used that word in our last Skype conversation. Life with littles is so unpredictable in so many ways, it helps to have fluid expectations. So... 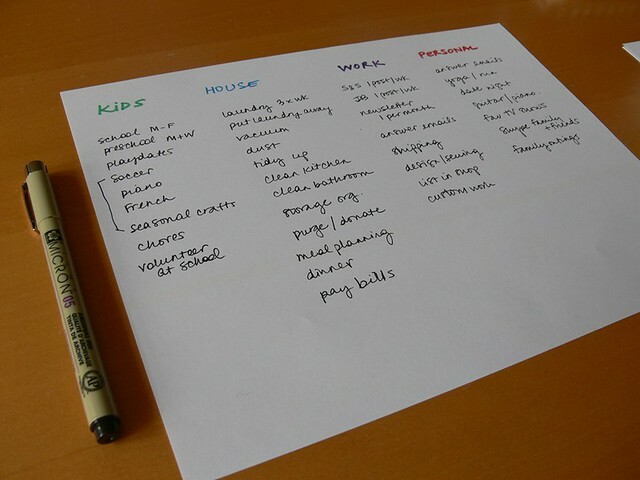 I began by writing out a list of all the things I need to and would like to accomplish in any given week, in terms of house-keeping and family organization. Nothing fancy like dusting baseboards, just a basic list of what should be doable. I should also make a disclaimer here that my standards are not Martha's. Ahem. I then filled out the list in each category. I hope you all are enjoying your weekend. We are terribly late with our little sponsor round-up this month (blame the back-to-school roller-coaster!). But it's not for lack of LOVING these wonderful businesses -- we hope you will too. Oh by the way... Stumbles & Stitches is currently booking sponsors for October through December -- you can choose 1 month or a discounted deal for 3 months. Go to our Sponsorship page for all the details. Thank you so much for your interest in supporting us! Without further ado, here's what's new with our awesome sponsors this month! 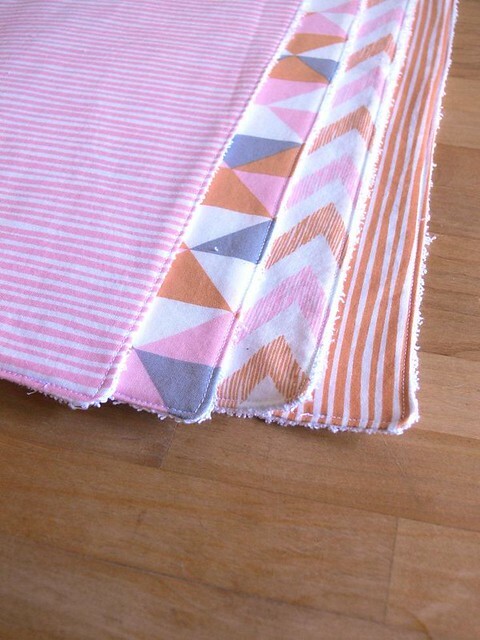 Drygoods Design has a TON of new fabrics in stock (and I would know, because I was just there 2 days ago!). The Liberty Lifestyle is going very fast. Keli also recently received new fabrics from Michael Miller, Kokka, Moda and Free Spirit. And very exciting: Jay McCarrol's new line Center City just arrived! In October, Drygoods Design will have more fabrics but also some gifts just in time for the holiday season, including Orla Kiely's new line of garden tools, pots and thermoses. In other news, the storefront will be open six days a week starting October 2nd, with regular Studio Nights for sewists to gather and stitch. This means more opportunities for Seattle locals to go browse gorgeous fabrics and faster fulfillment of online orders! Oh my, a chill is in the air even in these parts! Hard to believe summer is almost over. I'm always sad to see the main growing season go, but by now I'm also worn out by super hot and humid weather and mosquitoes as big as hummingbirds. So, bring on Fall! Thoughts of cleaning, organizing and nesting have set in, and as I look around the house I can see I have some major work to do. I never really got back into a routine after we moved back into the house in March, and my sanity (and the state of my house) has suffered greatly for it. I make valiant attempts to "get back on track" but they never seem to stick. I need help! The book is a large one, at almost 900 pages the hardback version is formidable. The pages are divided into the broad categories of Beginnings, Food, Cloth, Cleanliness, Daily Life, Sleep, Safe Shelter and Formalities. Those eight sections are further divided into 72 chapters, so you can find exactly what you need when you need it without getting overwhelmed by all the rest. I am briefly emerging from the Great Fog of Fall 2012 (what happens when you combine the new and overwhelming Kindergarten + preschool routine with a healthy dose of sleep deprivation courtesy of the toddler molars who refuse to appear...) to show you a few baby projects I've made recently. 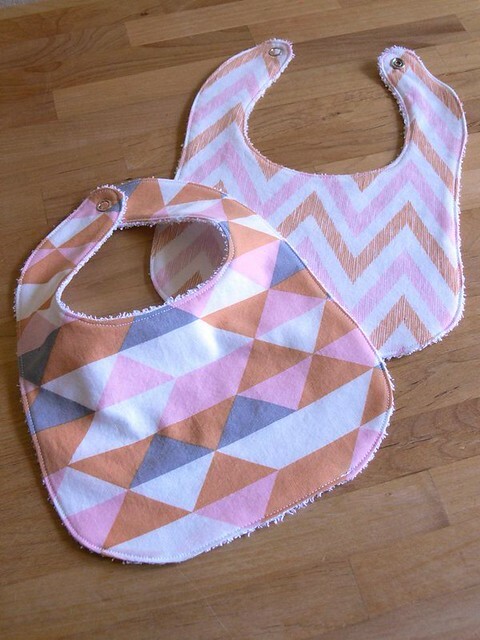 These little bibs and burp cloths are nothing new. You probably remember that they're kind of my go-to gift to welcome new babes since they are easy and SO useful and convenient. 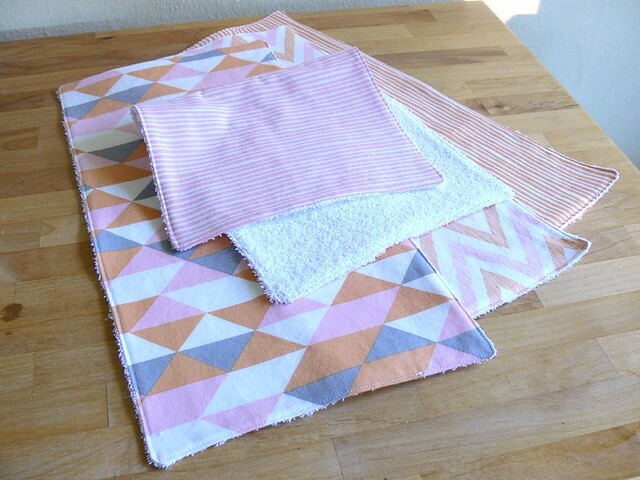 I even made quite a few of those burp cloths while awaiting Henry's birth and we used them a TON in those early months. But, what's fun to show here is the gorgeous new fabrics I got to play with! First, some Simpatico! My friend Kate just had her little Ramona (I got to hold her for a while last week and think I might have to have another baby now, ahem). 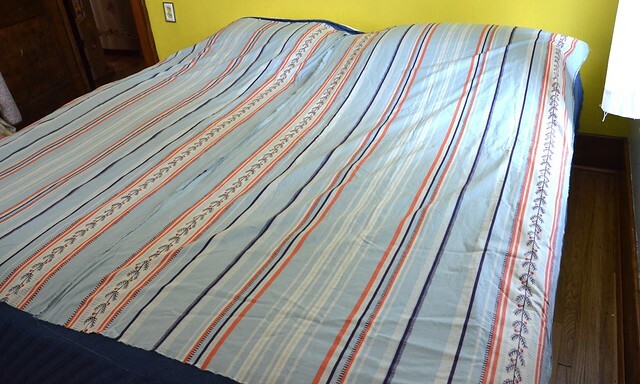 When I saw the awesome quilt Kate made, I thought the pink, grey and orange triangles of the modern Simpatico collection would be a perfect complement! Oh Jen, so good to see those pictures of the boys! Sorry to hear Ben had a rough morning, how was it today? They are just so, so tired at the end of the day and sitting still so long is hard too. He'll get the hang of it! Ian's doing fine in second grade, but I am certainly envious of Ben's recess schedule! We make up for it by going to the playground after school almost every day. I'm still volunteering with the school garden, the library and wherever else I can, I figure I should give as much time as I can while I am home. 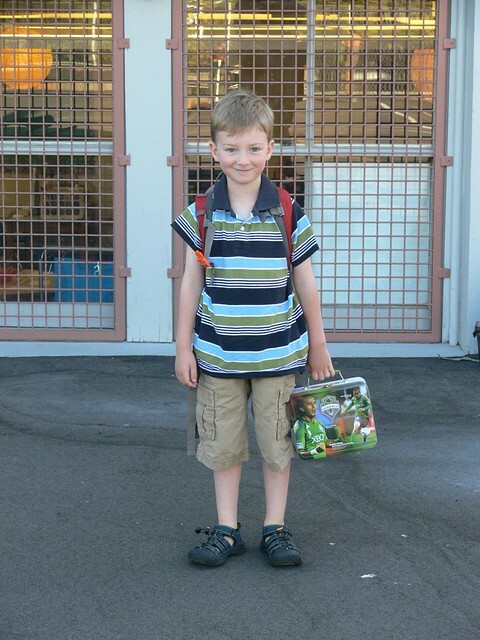 Have you found any volunteer opportunities at Ben's school yet? 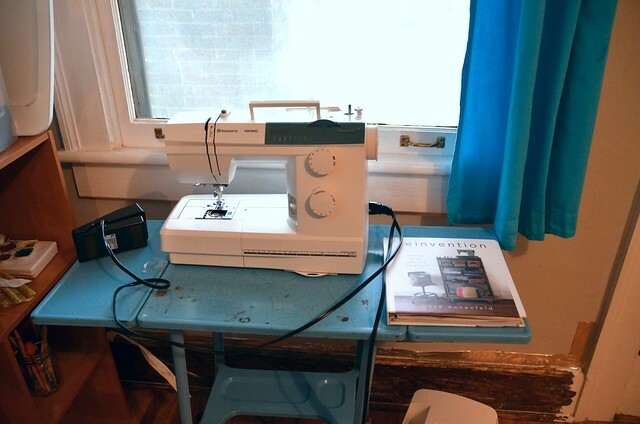 On the crafty front, I figured out my sewing machine issue and got the old girl out the other day. I can't believe how long it's been since we last posted. I am working on a big deadline right now (super exciting, but top secret unfortunately) so I am just poking my head in to say: I am here! I miss you all! And I will be back SOON to share some completed projects and all kinds of other fun stuff. In the meantime, here are pics of my kiddos who both started school this past week. 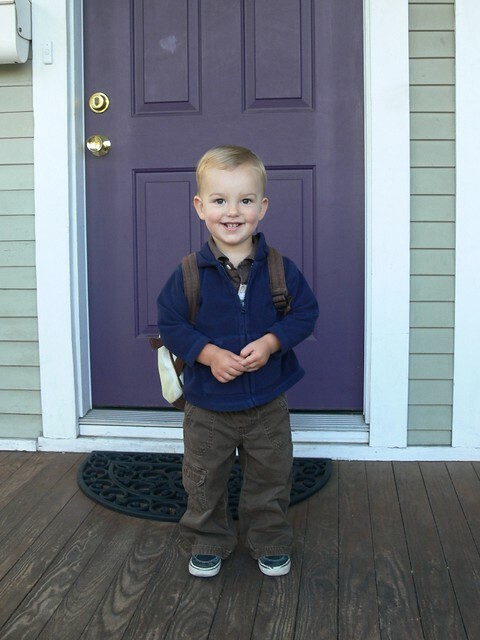 And Henry started preschool a couple of days ago. My baby! He's only going two short mornings a week at my neighbor's sweet little preschool so I can get some work done. But still, big transition! He loves it! And now I've got to run and get some work done. I'll be back in a few days! How have YOU been? What are you working on now that the kids are back in school?